For an overview on the 2018 mid-term election, click here. Introduced in March 2017, the Living Donor Protection Act is now up to 65 cosponsors. Over the last few weeks, the LDPA added Congressmen Glenn Thompson (R-PA), Andre Carson (D-IN), and John Duncan (R-TN) as new cosponsors. During May 2018, transplant stakeholder organizations convened a series of Capitol Hill meetings to secure Senate champions for the introduction of an LDPA companion bill in the U.S. Senate. Based on the strength of these meetings, we are likely expecting an LDPA Senate bill introduction this summer. The AST continues to work very closely with the LDPA House sponsors, Congresswoman Jaime Herrera Beutler (R-WA) and Congressman Jerrold Nadler (D-NY). As you may know, the AST continues to work closely in Washington, DC with the biomedical research community in support of federal biomedical research funding. These advocacy efforts have included the AST joining coalition efforts as well as the Society’s direct lobbying of Congressional NIH funding committee leaders. This has included Chairman Senator Roy Blunt (R-MO), Chairman Congressman Tom Cole (R-OK), Ranking Member Rosa DeLauro (D-CT), as well as many other research champions on Capitol Hill. The AST and the collective research community advocacy efforts have resulted in the FY 2018 Consolidated Appropriations Act and FY 2018 Omnibus providing a $3 billion-dollar increase for NIH, with a total budget of $37.084 billion. This amount includes $496 million for projects funded by the 21st Century Cures Act and $500 million for opioid research. The FY 2018 funding bill served to increase every NIH Institute and Center above their FY 2017 levels. The spending package also included language stating that the NIH is expected to use the increased funding to support an increase in the number of new and competing research project grants. The Trump Administration has proposed $35.517 billion in FY 2019, which includes funding through the 21st Century Cures Act. This request does not propose limiting NIH support for facilities and administrative (F&A) expenses. The biomedical research community and the AST continue to visit with and further educate Members of Congress and the Appropriations Committees as they continue the process for advancing FY 2019 federal funding. AST, ASTS, AAKP, and NKF are working collaboratively to encourage the Department of Labor (DOL) to exercise its regulatory authority to explicitly clarify that the Family Medical Leave Act of 1993 (FMLA) covers organ donation and/or to issue interpretive guidance regarding the use of FMLA leave for organ donation. Congresswoman Jaime Herrera Beutler (R-WA) has sent a letter to the Secretary of the Department of Labor making this request. The next step is for DOL to meet with the Congresswoman and our stakeholder organizations. The intent upon passage of FMLA was clear– organ donation was envisioned as a covered surgery under the FMLA – as was poignantly evidenced by the House floor colloquy between two of the bill’s lead sponsors. Despite this clear Congressional intent, the Department of Labor does not explicitly state (in its website or in guidance) that FMLA can be used for organ donation. Department of Labor confirmation that the FMLA can be used for living organ donation would be very useful and important for families, patients, donors, and recipients. 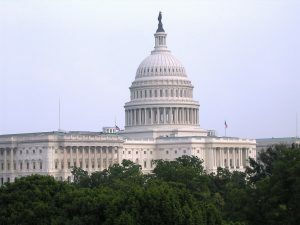 Although there seems to be differing opinions between some House and Senate offices regarding the VA CHOICE/MISSION Act organ transplant language, VA Secretarial Review & Approval (as drafted in the legislation) may provide a hurdle and conflict with the original intent of the Veterans Increased Choice for Transplanted Organs and Recovery Act (VICTOR) and the Veterans Transplant Coverage Act (VTCA). Essentially, the VA Secretarial Review & Approval Process could potentially result in the status quo of limiting Veteran's choices and ability to utilize local organ transplant facilities. The VICTOR and VTCA legislative sponsors and other Capitol Hill champions have expressed interest and a willingness to work with the transplant and broader stakeholder community to ensure that the VA Agency implementation phase of the MISSION Act accomplishes the goals of the original legislation, better access to local transplant centers. VTCA is an important step to helping veterans and those who give the gift of life to sustain veterans’ lives nationwide. VTCA would expand access to lifesaving transplant procedures for veterans by authorizing the VA to cover the costs of an operation on a living donor providing a transplant for an eligible veteran where the living donor is not eligible for VA health care. This Act authorizes the Veterans Administration to cover live donor transplant operations at a VA or non-VA facility. VCTA will help bring the VA in line with other federal government health care programs which cover living donors’ health care needs related to transplant. The AST recently joined other partners in drafting a letter of thanks for inclusion of the Veterans Transplant Coverage Act of 2017 and elements of the Veterans Increased Choice for Transplanted Organs and Recovery (VICTOR) Act in VA MISSION legislation, offering additional assistance in helping the VA develop an open and transparent process to ensure that veterans are given choices and opportunities for organ transplantation. The Dialysis PATIENT Act remains at 171 House cosponsors and S 2065 continues to maintain 8 cosponsors. Advocacy opposing the legislation continues to build with new groups weighing in on a regular basis. AST position statement on the legislation has been shared with all targeted Congressional, Agency and external stakeholder audiences, including meetings with all House & Senate leadership and committees of jurisdiction. Stand-alone lobbying and joint advocacy activities are occurring weekly on this issue and it is clear that many of the initial cosponsors are now rethinking their early support of the bill. AST, ASTS, & AAKP have been working very closely together in executing advocacy opposition strategies.